I decided to separate this out from my 2013 in review post, but I want to talk a little about the races I ran last year before I get too far into this year’s races. I ran in a total of nine events last year, six of which were timed races. I loved the Go Commando medal! It is very solid, with a good weight. And, bonus: the middle part spins around and has different things on each side. One side shows the name of the race and location, while the other side shows the year. This medal has a great design. The only thing I really dislike is that the year of the race isn’t included on it, so I hope they don’t hand out the exact same one this year. This one was so much fun because you were on a team! So if it wasn’t your turn to run, you got to relax and hang out with friends. Once you were out there, it was all you, but it was only 1.9 miles at a time and then you were back to relaxing and hanging out. And crossing the finish line with your entire team was a blast! Plus you can say that you’ve done a marathon (relay). While just a pretty standard 5k, I had fun because I got to run with friends! (Are you noticing a trend here?) Even if I just ran the first half mile or so with them, I loved seeing them on the out-and-backs and waiting at the finish line to cheer them on. A lot of Nashville races are held downtown and this one was no exception. However, just before the race, the new convention center opened up, which meant we got to run on the road that goes through it, which was pretty cool, and gives this race the Best Course award, despite all the hills. While the course wasn’t really an awesome thing of beauty, I’ll give the runner-up spot to the Fremont Oktoberfest 5k, just because it was in Seattle! 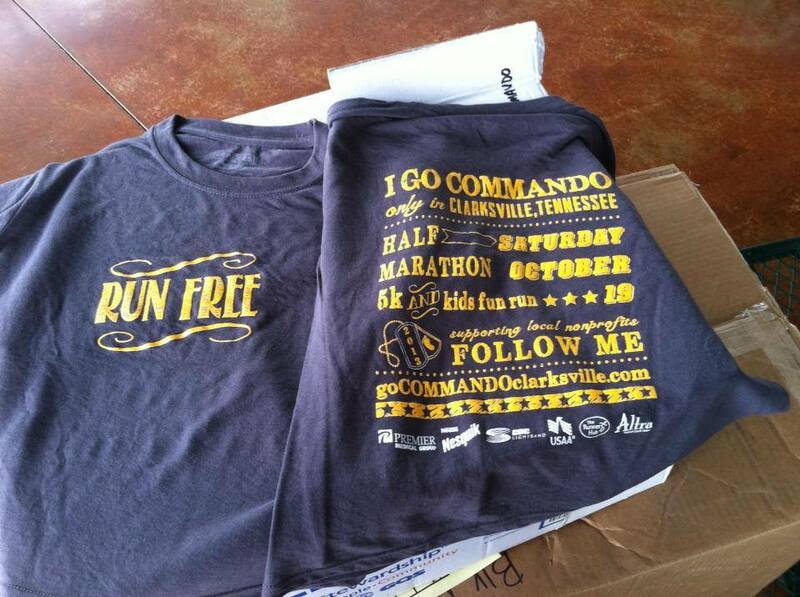 When you signed up for Go Commando, you got a choice: did you want shorts or the t-shirt? I figured I had plenty of race t-shirts that I never wore, but I might get some use out of the shorts, so I opted for those. And I do love the shorts. But when I saw the shirt design at the race expo, I shelled out another $12 for it. That’s right. I actually paid extra money for this race shirt. That’s how much I like it. And it does have the distinction of being the only race shirt I really wear around. The Go Commando race was a great event! It was the only race I ran that had a real expo, which was pretty cool. (And, YAY, for free Stick massages after the run!) The food spread at the end was awesome and extensive. They had real race photographers out on the course (the only one I ran last year that did). I am planning on doing it again this year, although now they’ve added a 10k so I don’t know which to run! While it rained the whole race, which made me high-tail it out of there after it was over instead of sticking around for the post-race festivities, I did have a lot of fun at this one. The course was great, although I would like it if they had a different course for the 10k, so you weren’t just doing two laps of the 5k course. But I liked it enough to sign up for the 5k this year! This entry was posted in Race and tagged fremont oktoberfest 5k, go commando 5k, music city july 4th 10k, rockin marathon relay. Bookmark the permalink. 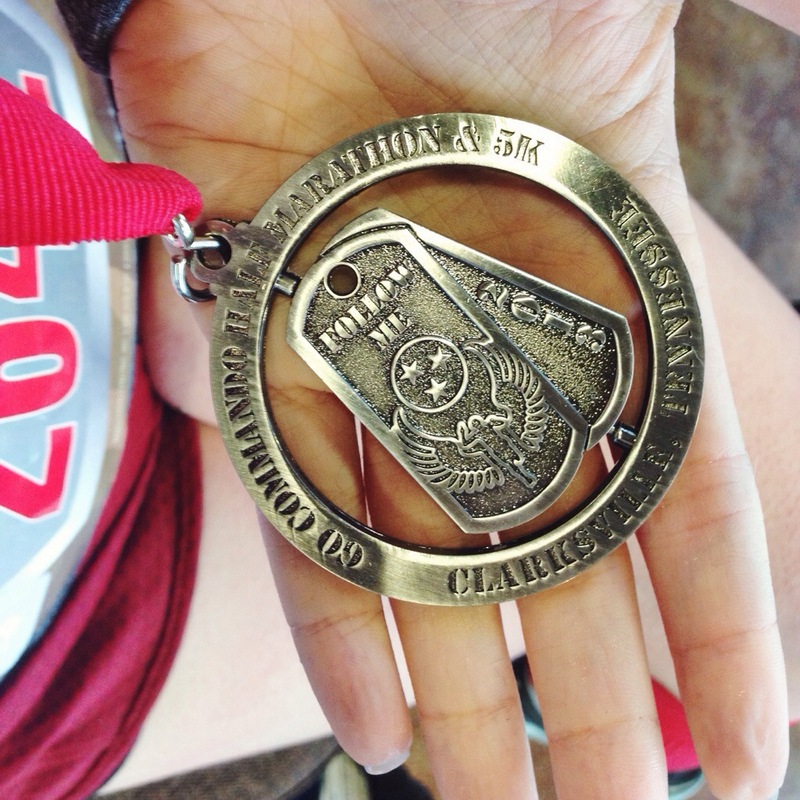 I’m really jealous of your medals – I’ve never run a 5K or 10K that gives them out! They are a rarity! The only other race I got a medal for last year was the marathon relay. But I’m running all three of those races again this year. Love medals!